Gerd Kanter (born 6 May 1979) is a retired Estonian discus thrower. He was the 2007 World Champion in the event and won the gold medal at the 2008 Summer Olympics, and bronze in London 2012. His personal best throw of 73.38 m is the Estonian record and the third best mark of all-time. The discus throw is a track and field event in which an athlete throws a heavy disc—called a discus—in an attempt to mark a farther distance than his or her competitors. It is an ancient sport, as demonstrated by the fifth-century-BC Myron statue, Discobolus. Although not part of the modern pentathlon, it was one of the events of the ancient Greek pentathlon, which can be dated back to at least to 708 BC, and is part of the modern decathlon. He made his first Olympic appearance in 2004 and established himself a year later by taking the silver medal at the 2005 World Championships. He was runner-up at the 2006 European Athletics Championships and won further medals at the World Championships in 2009 (bronze) and 2011 (silver). A silver medal in sports and other similar areas involving competition is a medal made of, or plated with, silver awarded to the second-place finisher, or runner-up, of contests or competitions such as the Olympic Games, Commonwealth Games, etc. The outright winner receives a gold medal and the third place a bronze medal. 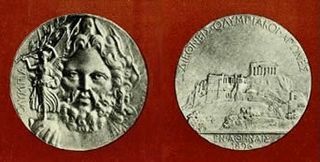 More generally, silver is traditionally a metal sometimes used for all types of high-quality medals, including artistic ones. The 10th World Championships in Athletics, under the auspices of the International Association of Athletics Federations (IAAF), were held in the Olympic Stadium, Helsinki, Finland, the site of the first IAAF World Championships in 1983. One theme of the 2005 championships was paralympic events, some of which were included as exhibition events. Much of the event was played in extremely heavy rainfall. He won the 2012 and the 2013 IAAF Diamond League in discus throw. The 2012 IAAF Diamond League is the third edition of the Diamond League, an annual series of fourteen one-day track and field meetings. The 2013 IAAF Diamond League is the fourth edition of the Diamond League, an annual series of fourteen one-day track and field meetings. He competed at the 2004 Olympics, but did not reach the final. The season 2005 was his breakthrough year as he won silver medals at the World Championships and World Athletics Final, took home a victory in the European Cup and won the World University Games. He also threw more than 70 metres for the first time. The men's discus throw competition at the 2004 Summer Olympics in Athens was held at the Olympic Stadium on 21–23 August. It was originally planned to hold the discus throw at the Ancient Olympia Stadium, but it was discovered that the field was not large enough to accommodate the range of modern discus throwers, and would have posed a danger to spectators. As such, it was decided to move the discus throw and to hold the shot put at the ancient stadium, despite the fact that the shot put was not contested at the Ancient Olympic Games. The 3rd IAAF World Athletics Final was held at the Stade Louis II, in Monte Carlo, Monaco on September 9, and September 10, 2005. The 2005 European Cup was the 26th edition of the European Cup of athletics. Helsingborg is a town and the seat of Helsingborg Municipality, Scania, Sweden. It had 108,334 inhabitants in 2017. Helsingborg is the centre of the northern part of western Scania. There is no formal metropolitan area, but the municipality of Helsingborg City and its neighbouring five municipalities had in spring of 2013 a population of 269 489 inhabitants at an area of 1,353 square kilometres, a population density of 200 people/km2. This makes Helsingborg the fourth largest population area in Sweden. The city is also Sweden's closest point to Denmark, with the Danish city Helsingør clearly visible on the other side of the Øresund about 4 km (2 mi) to the west, closer than to the city's own remoter areas. If including all population around the northern part of Øresund, as a Helsingborg-Helsingør metropolitan area, its population increases to 732 450 at an area of 2,802 square kilometres. The busy ferry route known as the HH Ferry route has through history been operated by several shipping lines. As of 2014 more than 70 car ferries departures from each harbour every day. Jürgen Schult is a German former track and field athlete and as of 2018, the world record holder in the discus throw. Holding the title since 1986, it is the longest standing record in men's track and field. Schult represented East Germany in the 1988 Olympic competition in the discus throw on 1 October 1988, when he won the gold medal. Virgilijus Alekna is a Lithuanian former discus thrower and politician. He won medals at the 2000, 2004 and 2008 Olympics, including two golds. After retiring from athletics, Alekna was elected to the national parliament, the Seimas, in 2016. Kanter was the silver medalist at the 2006 European Athletics Championships, finishing behind Virgilijus Alekna, and became the world champion in the discus at the 2007 World Championships in Athletics in Osaka. At the 2008 Beijing Olympics, he took Olympicgold medal with a throw of 68.82 meters, one meter ahead of second-place finisher Piotr Malachowski of Poland. The 11th World Championships in Athletics, under the auspices of the International Association of Athletics Federations (IAAF), were held at Nagai Stadium in Osaka, Japan from 24 August to 2 September 2007. 200 of the IAAF's 212 member federations entered a total of 1,978 athletes, the greatest number of competitors at any World Championships to date. Sarah Brightman, the world's best-selling soprano, performed her single Running at the opening ceremony. Lithuania competed at the 2004 Summer Olympics in Athens, Greece, from 13 to 29 August 2004. This was the nation's sixth appearance at the Summer Olympics. The National Olympic Committee of Lithuania sent the nation's smallest delegation to the Games since the 1992 Summer Olympics in Barcelona. A total of 59 athletes, 47 men and 12 women, competed in 13 sports, including the men's basketball team as the nation's team-based sport. Aleksander Tammert is an Estonian discus thrower. The Men's Discus Throw at the 2005 World Championships in Athletics was held at the Helsinki Olympic Stadium on August 6 and August 7. Ehsan Haddadi is an Iranian discus thrower. He is 193 cm and 127 kg. Taavi Peetre was an Estonian shot putter and discus thrower. He represented his country at two Olympic Games and also took part in the World Championships in Athletics on two occasions. His personal best shot put mark of 20.33 m is the second best by an Estonian thrower after Heino Sild. His personal best in discus throw was 60.84 m, achieved in April 2010 in Denton, Texas, USA. He died in 2010 after a boat accident. Germán Luján Lauro is an Argentine shot putter and discus thrower. He is the South American record holder in the shot put both indoors and outdoors with marks of 21.04 m and 21.26 m, respectively. His personal best in the discus is 63.55 metres. David Storl is a German track and field athlete who specialises in the shot put. He was successful on the youth and junior athletics circuit, winning gold medals at the World Youth Championships and World Junior Championships. Storl won his first senior medal, a silver, at the 2011 European Athletics Indoor Championships. Estonia competed at the 2009 World Championships in Athletics from 15–23 August. A team of 19 athletes was announced in preparation for the competition. Selected athletes have achieved one of the competition's qualifying standards. The team includes reigning Olympic discus throw champion Gerd Kanter and European Indoor champions Mikk Pahapill and Ksenija Balta. The Men's Discus Throw event at the 2009 World Championships in Athletics was held at the Olympic Stadium on August 18 and August 19. The men's discus throw competition at the 2012 Summer Olympics in London, United Kingdom. The event was held at the Olympic Stadium on 6–7 August. Each athlete receives three throws in the qualifying round. All who achieve the qualifying distance progress to the final. If less than twelve athletes achieve this mark, then the twelve furthest throwing athletes reach the final. Each finalist is allowed three throws in last round, with the top eight athletes after that point being given three further attempts. The 2013 European Cup Winter Throwing was held on 16 and 17 March at the Pista de Atletismo Universitat Jaume I and Complejo Deportivo Gaetà Huguet in Castellón, Spain. It was the thirteenth edition of the athletics competition in throwing events and was jointly organised by the European Athletic Association and the Real Federación Española de Atletismo. The competition featured men's and women's contests in shot put, discus throw, javelin throw and hammer throw. In addition to the senior competitions, there were also under-23 events for younger athletes. A total of 249 athletes from 38 nations entered the competition. It was the second time that Spain hosted the event, following on from the 2009 edition held in Tenerife. 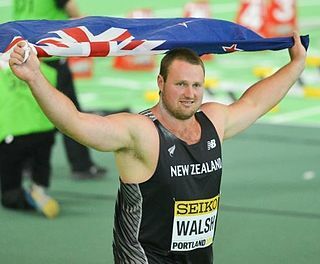 Tomas "Tom" Walsh is a New Zealand athlete who competes mainly in the shot put. He is the current national record holder both outdoors and indoors for the event, and the current (2017) world champion. His personal best of 22.67 m, set at in Waitakere City, 25 March 2018, is also the Oceanian record. Daniel Ståhl is a Swedish athlete specialising in the discus throw. He competed at the 2015 World Championships in Beijing finishing fifth. In 2016, he competed at the European Championships, where he finished fifth. Daniel also competed at the Olympic Games in Rio de Janeiro the same year, where he failed to qualify for the final. Just a couple of weeks following his failure in Rio, Daniel competed at the Swedish Championships in Sollentuna. Not only did he win the discus throw on a new personal best 68.72 metres, it was also the new world leading throw of 2016, surpassing Christoph Harting's 68.37 metres from the Rio Olympics final. By the end of the year, it remained the number one throw in 2016. The day before, Daniel had also won the shot put on a new personal best 19.38 metres. In June 2017, Ståhl managed a throw of 71.29 metres in Sollentuna, setting a new personal best and improving the Swedish record set in 1984 by Rickard Bruch by three centimetres. Ståhl's throw was farther than any discus throw in the world since 2013. Sergey Valentinovich Smirnov was a Russian track and field athlete who competed in the shot put. He was a medallist at the IAAF World Indoor Championships in 1987 and at the European Athletics Indoor Championships in 1986 and 1987. Smirnov represented the Soviet Union at the 1988 Seoul Olympics and at the 1983 World Championships in Athletics. ↑ Butcher, Michael (2006-09-05). Kanter 73.38m in Helsingborg. IAAF. Retrieved on 2011-10-01. ↑ Jalava, Mirko (2009-08-19). Event Report – Men's Discus Throw – Final. IAAF. Retrieved on 2009-08-22. Archived 2009-09-08. ↑ Augustsson, Bert (2010-03-28). Kanter a little below par indoors. IAAF. Retrieved on 2010-03-29. ↑ Kanter throws a stunning 71.45m in California [ permanent dead link ]. European Athletics (2010-04-30). Retrieved on 2010-04-30. ↑ Juck, Alfons (2011-09-21). Kanter throws 67.99m in Warsaw. IAAF. Retrieved on 2011-10-01. ↑ "Kanter retires from competition with a sixth-place finish in Tallinn". European Athletics. 14 September 2018. Retrieved 5 October 2018. ↑ John Branch (2008-08-24). "Estonia's Kanter Celebrates Gold Medal in the Discus His Way". New York Times . Retrieved 2008-08-25. Wikimedia Commons has media related to Gerd Kanter .